There is more eyeliner in Penny Lane's diabolically entertaining 'Hail Satan?' than at an entire The Cure concert. And more common sense. 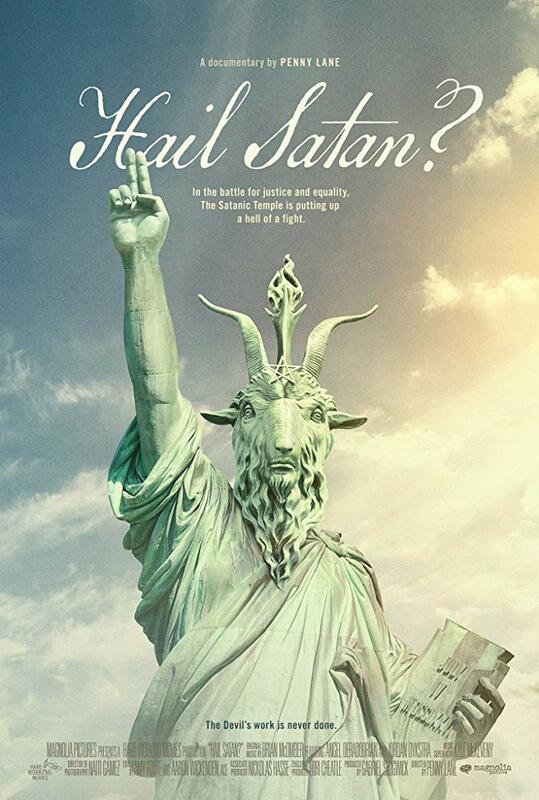 The members of the The Satanic Temple in the United States are not a group of fanatic crack heads who eat children and have horns on their forehead. Okay, some of the do have horns on their foreheads, but they are above all a congregation of atheists and political activists, who are rebelling against the intolerance and conservatism that is sweeping across God's own country. They exhibit the hypocrisy of Christians in the name of holy Satan - because it makes them so much more visible in the media. With the found footage film 'Our Nixon' and the animated 'Nuts', Lane has manifested herself as one of today's most unpredictable nonfiction filmmakers. But she is quite simply also an excellent storyteller, as she proves here in a film that is at once provocative, insightful, hysterically funny and full of a contagious desire to rebel.